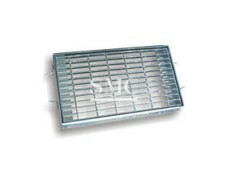 Shanghai Metal Corporation is a leading Heavy Duty Steel Grating manufacturer and supplier. 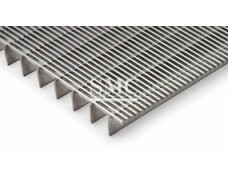 The steel grating is an open steel member which is fixed by orthogonally supporting the flat steel and the cross bar at a certain interval and fixed by welding or pressure lock; the cross bar is generally made of twisted square steel or round steel. Or flat steel, the material is divided into carbon steel and stainless steel. 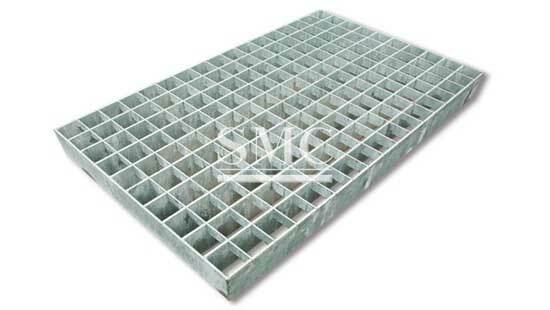 Steel gratings are mainly used for steel structure platform plates, trench cover plates, step plates for steel ladders, building ceilings, etc. 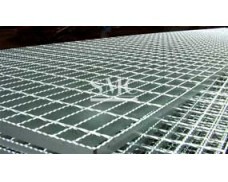 The steel grating is generally made of carbon steel, and the surface is hot-dip galvanized to prevent oxidation. It can also be made of stainless steel. The steel grating has the characteristics of ventilation, lighting, heat dissipation, non-slip, explosion-proof and so on. The steel grating is made of flat steel and cross-arranged according to a certain spacing and cross bar. It is welded by a pressure welding machine or artificially into a steel product with a square lattice in the middle. 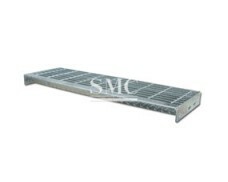 The steel grating is mainly used as a gutter cover, steel structure platform board, step ladder of steel ladder, etc. The crossbar is generally made of twisted square steel. If you want to know more about our construction products or Heavy Duty Steel Grating price please feel free to contact us, we will reply you within 24 hours. 2. Bearing bar pitches can be 12.5, 15, 20, 30, 30.16, 32.5, 34.3, 40, 60mm, of which 30mm & 40mmare recommended. 3. Cross bar pitches can be 38, 50, 60,100mm, of which 50mm & 100mm are recommended. Shanghai Metal provides standard seaworthy package, with wooden pallet, plastic wrapped and flat steel strip fixed. 1. Plain: for flooring, sidewalk, drainage pit cover, stair tread, etc. 2. Serrated: Better non-skid property & safety compared with plain grating. 3. I-shape: lighter, more economical and practical comparing with plain grating.